Lawrence's composition faculty are professional composers and creators with expertise in chamber, vocal, and orchestral music, opera, electronic media, improvisation, and innovative collaboration. The music of Joanne Metcalf, acclaimed as “music of great beauty” (Klassik-Heute) and “extraordinarily beautiful” (International Record Review), is known for its evocative lyricism, rhythmic extravagance, “beguiling yet subtly dissonant language” (MusicWeb International) and “beautiful use of vocal colours and texture” (Glasgow Herald). Drawing inspiration from Renaissance and medieval polyphony, ancient Georgian music, and contemporary extended vocal techniques, Ms. Metcalf has forged a musical voice that “evoke[s] earlier musical forms” (The Globe and Mail, Montreal) yet is “unmistakably contemporary” (Glasgow Herald). Ms. Metcalf’s compositions have been performed and recorded by musicians across the world. Advocates of her vocal music include The Gothic Voices; The Crossing; Variant 6; German vocal quintet amarcord; Canty, Scotland’s premiere female vocal quartet; Cappella Nova; the Dresdner Kammerchor; John Potter; and her longtime artistic collaborators, Singer Pur and The Hilliard Ensemble. Her music has been performed at the Schleswig-Holstein Musik Festival, Schwetzinger Festspiele, Hannover Bienniale, Beethovenfest Bonn, Washington National Cathedral, Glasgow Cathedral, and the Cheltenham International Festival of Music. Upcoming and recent world premieres include Immortall Beautie, commissioned by amarcord; and You Are the Light of the Stars, commissioned by the 35 choirs of the American Choral Directors Association Women’s Choir Commission Consortium. In 2018 LILITH released Darkening of the Light on National Sawdust Tracks and saxophonist Joe Connor premiered The Vast Unknowable at Northwestern University’s NUNC!3. Joanne Metcalf has received awards and fellowships from the North Carolina Arts Council, Copland House, the McDowell Colony, the Netherland-America Foundation, and the International Association of Women in Music. Her compositions are recorded on the Linn Records, Oehms Classics, ECM New Series, and National Sawdust Tracks labels. 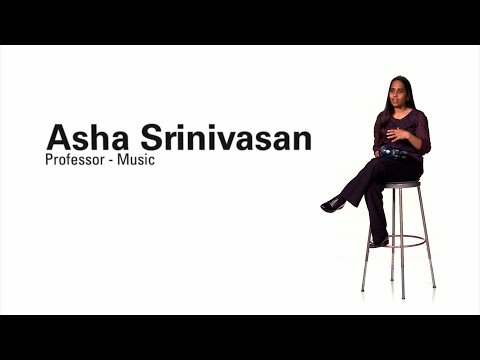 Indian-American composer Asha Srinivasan draws from her Western musical training and her Indian heritage to create her compositional language. Her music has been presented at various venues including SEAMUS, ICMC, June in Buffalo, SCI, and the National Flute Convention. Her work Dviraag was awarded at the 2011 Thailand International Composition Festival and won the Flute New Music Consortium competition in 2015. In 2012, Alarm Will Sound premiered Svara-lila at the Mizzou International Composers Festival. She has also won national commissioning competitions, including the BMI Foundation's Women's Music Commission and the Flute/Cello Commissioning Circle. Other honors include: the Walsum prize for Kalpitha, the Prix d'Eté 2nd prize for Alone, Dancing, and multiple ASCAPlus Awards. Her works have been released on CD by Ablaze Records, Mark Records, Beauport Classical, and SEAMUS CD Series (vol. 22). In 2012, she co-hosted the SEAMUS national conference at Lawrence University. Her studies include: D.M.A. Composition at University of Maryland, College Park; M.Mus. Computer Music Composition and Music Theory Pedagogy at the Peabody Conservatory, and B.A. at Goucher College. Ms. Srinivasan is currently an Associate Professor of Music at Lawrence University and recently she joined the board of the American Composers Forum. For further details and purchasing scores, please visit www.twocomposers.org.